Neeks are large, gray rats inhabiting both Crocodile Isle, Donkey Kong Island, and various other places. Neeks are named after the squeaking sounds they make as they walk and are noted as having "cool rendered fur". Neeks first appear in Donkey Kong Country 2: Diddy's Kong Quest as basic and weak enemies, capable of being defeated in various manners, such as having something thrown at them or simply being jumped on; they are thus the Donkey Kong Country 2 equivalent of Gnawties. Neeks retain the role of common and easily defeated enemies in the Game Boy counterpart to Donkey Kong Country 2: Diddy's Kong Quest, Donkey Kong Land 2. Although Neeks do not make an appearance in Donkey Kong Country 3: Dixie Kong's Double Trouble!, another species of rat similarly named Sneeks take their place. Neeks return in both DK: King of Swing and DK: Jungle Climber; they are capable of crawling on pegs and can hurt the player's character by simply touching them. In these two games, Neeks can be defeated by simply charging into them. In the Club Nintendo comic adaptation of Donkey Kong Country 2: Diddy's Kong Quest, several Neeks appear to menace Diddy and Dixie Kong on the Gangplank Galleon. These Neeks are handily defeated by the Kongs, who simply jump on them. 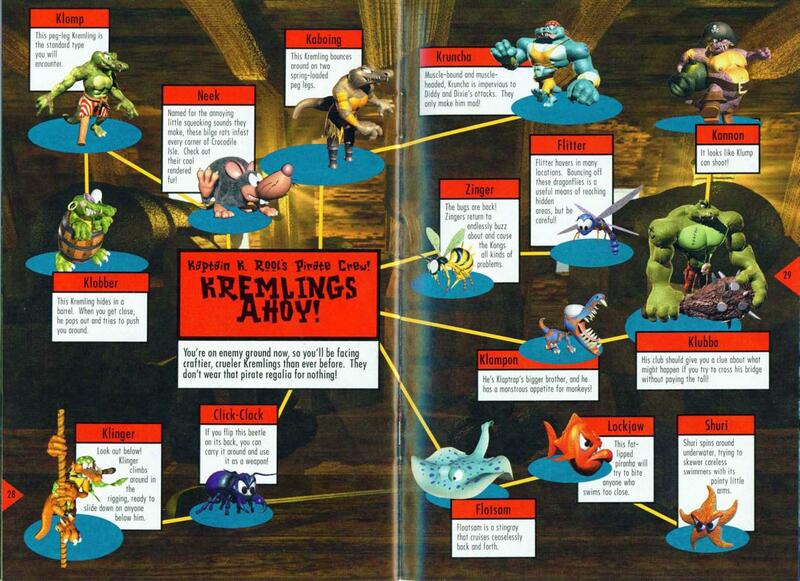 Later in the comic, a single Neek appears alongside various other monsters in K. Rool's Keep. In this comic, Neeks were portrayed as being capable of speaking, instead of simply making squeaking sounds.